Uber's gross bookings were up 17% in the second quarter, the number of trips taken rose 150% in the past year and its adjusted loss fell, according to numbers provided to Axios by the company. 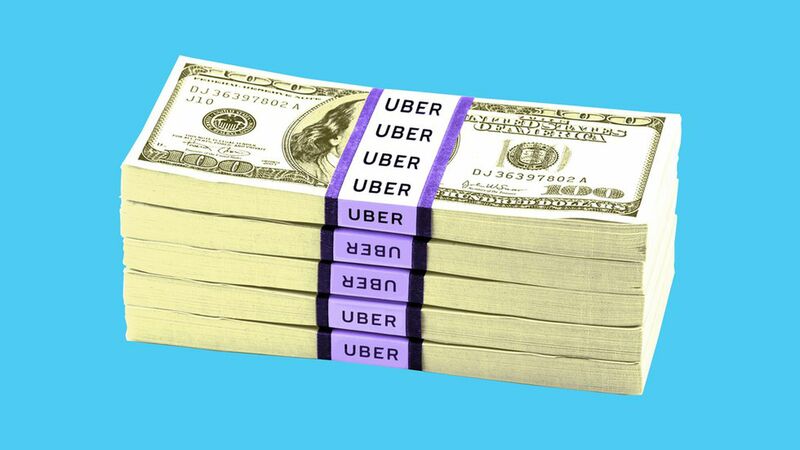 Uber drivers have earned $50 million in tips since the program started in late June. Why it matters: Uber spent most of the quarter under the cloud of a well-publicized internal investigation into sexual harassment and other unsavory aspects of company culture, and ended it with the forced resignation of CEO Travis Kalanick. The ride-hail giant's core business, however, appears to have kept humming along. Gross bookings rose 17% in the second quarter to $8.7 billion (and doubled from a year earlier). Adjusted net revenue was $1.75 billion in Q2 vs $1.5 billion in Q1 and around $800 million in Q2 2016. Adjusted net loss fell almost 9% quarter-over-quarter to $645 million and over 14% year-over-year.The $645 million is adjusted EBIT, while Uber's Q2 EBITDA loss was $534 million (down from $598 million in Q1). Uber's global ride-share business was margin positive last quarter, which is a flip from Q1. Global trips increased 150% year-over-year, including 90% growth in developed markets and over 250% growth in developing markets. This excludes China, which Uber exited last summer in exchange for an equity stake in Didi Chuxing. It includes Russia, where Uber's recently-announced partnership with Yandex has yet to be approved by local regulators. Revenue note: Uber is no longer reporting unadjusted net revenue to its investors, due to new guidance from the SEC. Uber had $6.6 billion in cash at quarter's end, down from around $7.2 billion at the end of Q1. Uber drivers have earned around $50 million in tips between when the program was rolled out in select markets on June 20 and the beginning of this week. For context, Lyft reported a similar $50 million figure for a 2.5 month period ending in the middle of this past June, but that was for a longer time period and for all of its markets (Lyft originally launched tipping nearly five years ago, generating over $250 million to date). What to watch: Uber still had a CEO for most of Q2, and its board had not yet erupted into the open warfare seen in Q3. Expect Immelt and others to dive deep into still-unreleased results for July and August.